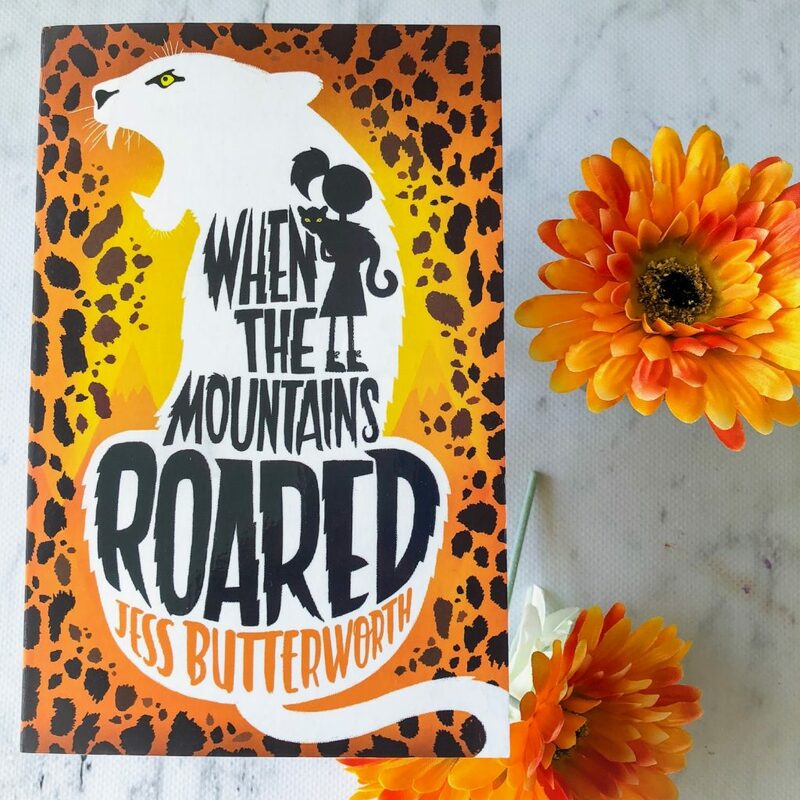 When the Mountains Roared is Jess Butterworth’s second middle-grade novel, following on from Running on the Roof of the World. It’s a vivid, warm and atmospheric adventure set in the mountains of India. Jess Butterworth is really skilled at capturing setting — I could feel the warmth of that blazing sun and the silence of the mountains. I could sense the seclusion and the danger that lurked. The language is descriptive and engaging, simple enough for young children to understand but detailed enough so that readers of all ages will be lured into this story. Ruby is a determined, courageous young girl, not afraid to face danger to save the defenceless. She does have more spine and more confidence than her father, who actually felt like a really weak, naive character. He felt a little underdeveloped — a cardboard cut out of a character. He disregarded his daughter and while he cared for her, he didn’t come across as a very smart man. I think the reader is supposed to sympathise for him, but really I just pitied him and disregarded his character altogether. When the Mountains Roared explores hope, courage and family. It also illustrates the importance of identity and the discovery of one’s place in the world. Jess has blended so many different emotions into Ruby’s characterisation — grief, loss and wonder. Ruby is forced to navigate this new life, whilst also learning how to let go of her old life. She has to understand that she can enjoy life without her mother being in it, and even though life will never be the same again, that doesn’t mean it won’t be enjoyable and full of wondrous experiences. Any children who have experienced loss will really relate to Ruby. “My stomach twinges as I recognise the buildings and criss-crossing roads outside. It was where we had Mum’s funeral. Jess Butterworth has crafted a fast-paced, entertaining story for children, set within the beautiful Himalayan mountains. When the Mountains Roared teaches young readers about Tibetan and Indian culture. It also educates readers on animal protection and poaching, but that education feels like osmosis. Jess isn’t beating readers over the head with information, but rather, allowing children to learn the culture and the importance of animal protection slowly as the plot develops. This is fantastic for a children’s novel, because the last thing kids want is to feel like they’re *learning* when reading a fictional novel. This is a really great book for middle-grade readers, and I actually think it’s a lot stronger than her debut. The characters are more evocative and three-dimensional, and the story is much richer and much more pacy. Young readers will love this story. Animal lovers will devour it.